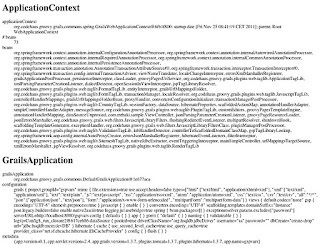 Several variables are injected to Groovy Server Pages (GSP) in a Grails application. 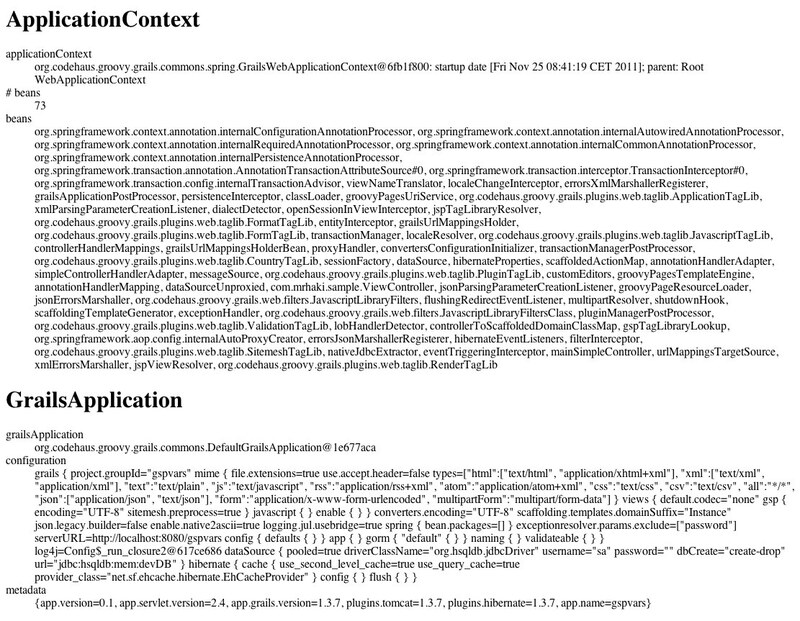 Two of them are the ApplicationContext and GrailsApplication objects. They are bound to the variables applicationContext and grailsApplication. When we have access to the ApplicationContext we could for example load resources or get references to beans in the context. Via the grailsApplication variable we have access to for example the configuration values and metadata of the application.